Tech Data’s cloud services and strategic growth director for Australia and New Zealand, Winston Wong, has left the distributor to take up a new role with VMware. While VMware is yet to comment on Wong's appointment, it is understood he is stepping into a high-level partner-facing role within the virtualisation vendor's local operation. Wong had led Tech Data’s A/NZ Vision, Strategy and Execution for the Global SBU (Specialty Business Units) go to market since mid-2016, back when the business, then known as Avnet Technology Solutions, was still part of Avnet. US-headquartered Tech Data completed its acquisition of the Technology Solutions business from Avnet in late February, with the US$2.6 billion deal effectively rubber stamping the distributor’s move into Australia and New Zealand. Wong had been with Avnet’s Technology Solutions business since 2008 in various roles. 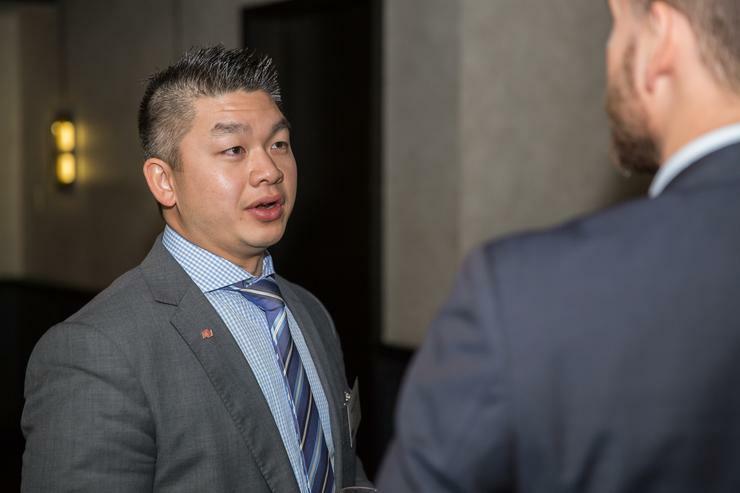 Prior to his role as A/NZ director, cloud services and strategic growth, Wong held the position of technology infrastructure solutions sales manager in A/NZ. Before that role, Wong was the company’s Queensland branch manager, a position he took up after holding the position of HP business development manager for the distributor in the local market for over three years. Before getting into the distribution game, Wong worked with Hewlett-Packard – now better known as Hewlett Packard Enterprise (HPE) – as business development manager and, earlier, as HP financial services, vendor management leader. Wong’s departure comes at an interesting time for Tech Data’s local operation, with a number of former Avnet alumni leaving the business over the past several months since the completion of Tech Data’s Avnet Technology Solutions acquisition. Most notable of the recent departures was Darren Adams, formerly Tech Data’s Technology Solutions business vice president and general manager for Australia and New Zealand (A/NZ), who announced in July that he would be leaving the business. Michael Costigan, vice president, marketing, education and supplier management, Asia Pacific, is serving as interim general manager of the A/NZ business while the company conducts a search for a permanent replacement. Adams' decision to leave the company came as Technology Solutions Australia, as the business was known at the time, was eyeing the potential “reallocation” of existing resources to regions outside of Australia. Indeed, it emerged in early June that certain members of the distributor's local operation had departed as a result of the changes. “To meet the changing needs of our business, Technology Solutions must regularly review, adapt and transform our model, programs and offerings,” the company told ARN at the time. “Whilst we continue to invest in targeted areas of growth, some of this investment may be supported by the reallocation of existing resources to other geographies in the region. “In line with this approach we have decided to relocate a select few functional roles from the Technology Solutions Australia business to other areas of the business,” it said. It is understood that Tech Data is still on the hunt for a new A/NZ general manager in the wake of Adams' departure, and has shortlisted potential candidates.